These candles just won't blow out! Stick at least one of these candles on a birthday cake and see how frustrated they can get! 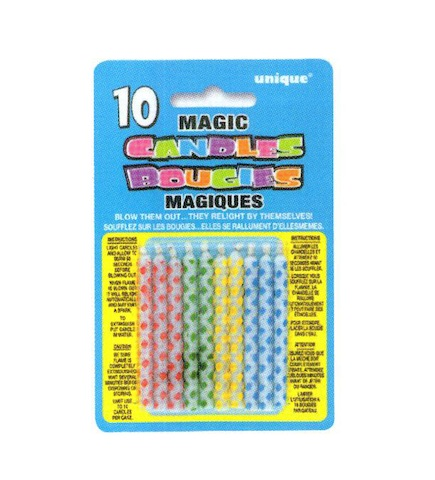 Each pack contains 10 candles.